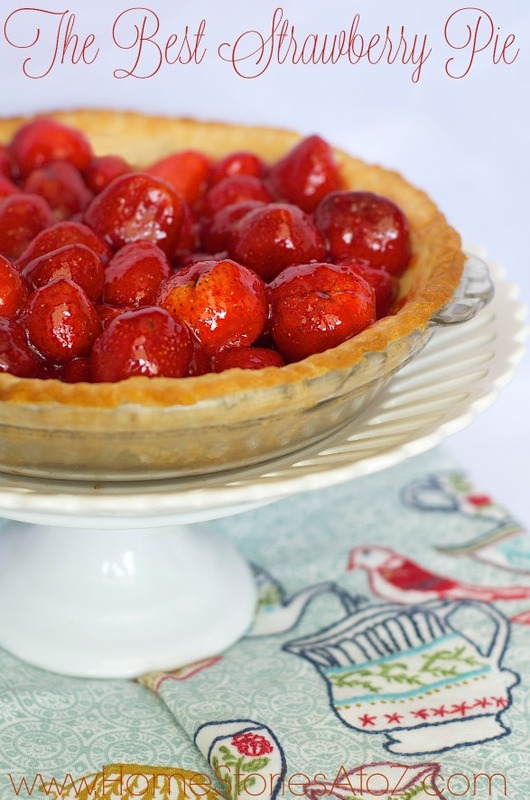 I have tried numerous strawberry pie recipes over the years and this one adapted from America’s Test Kitchen is my favorite! Don’t tell my mom, but I like this recipe even better than hers. 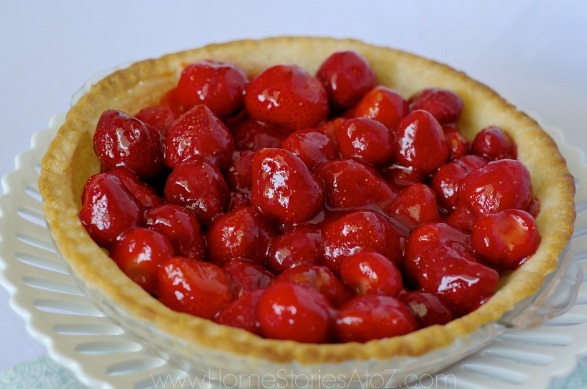 In my experience, strawberry pie has a tendency to either be too gelatinous or too runny. This recipe creates the perfect strawberry glaze, giving you a pie that is heavy on the berries and not overdone on the fillers. 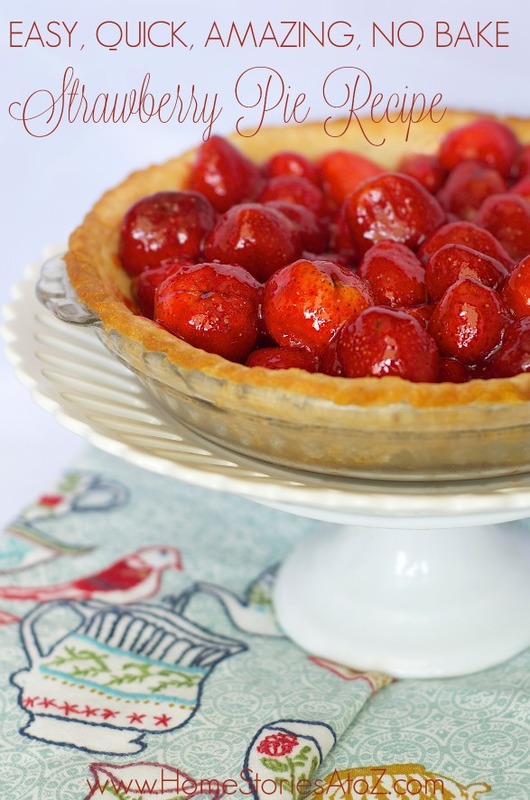 If you are looking for an easy, quick, amazing, no bake Strawberry Pie Recipe, then look no further! This one is a keeper. 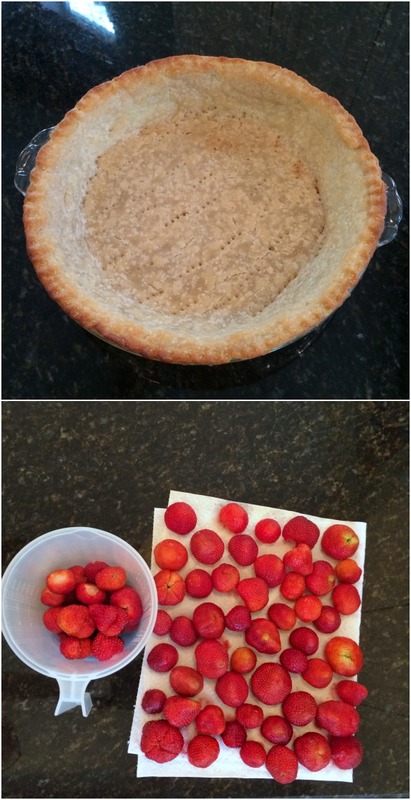 Step 1: Pre-bake your 9″ pie crust and wash, hull, & dry your strawberries. You can use a graham cracker crust, oreo crust, or pastry crust with this recipe. My boys are gluten free, so I baked a gluten free pie crust. While this recipe is no-bake, you still may need to bake your crust. 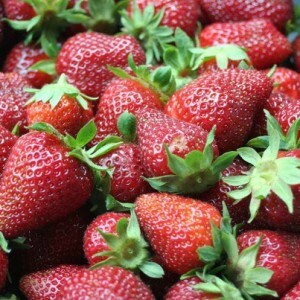 If you are waiting for a crust to bake, you can wash your strawberries in a colander, cut off the green stems, and set on paper towels to dry. Step 2: Measure 1 1/2 cups of your smallest strawberries and puree. 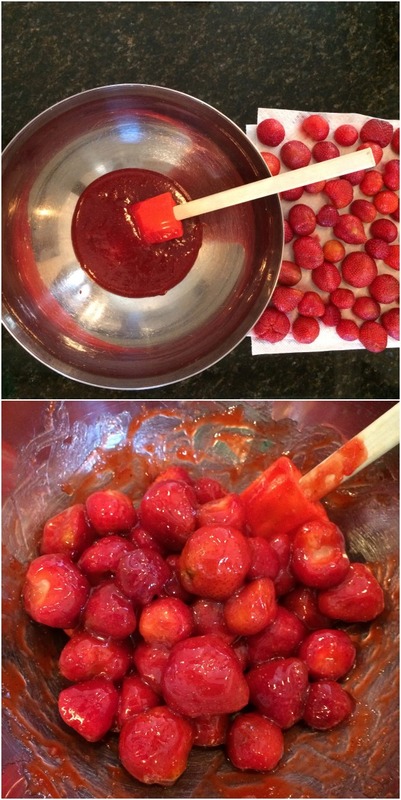 After pureeing 1 1/2 cups, you should end up with 3/4 cup pureed strawberries. I just pop mine into a Magic Bullet and puree for 20 seconds or so. Step 3: Mix dry ingredients and add puree. In a medium saucepan, mix together your sugar, cornstarch, Sure-Jell, and salt. Next, add your strawberry puree and mix until combined. Turn your burner onto medium-high and stir the mixture continuously taking care to scrape down the sides of the pan. Bring mixture to a boil and boil for 2 minutes stirring constantly. Remove from heat and stir for another minute or so. You need to wait until the mixture is room temperature before you glaze your berries. If you want to speed the process up a bit, transfer the mixture to a bowl and allow to cool. Step 4: Once cooled, gently fold your berries into the mixture. Use a rubber scraper to fold your berries into the glaze making sure that all are evenly covered. Step 5: Transfer the berries to your pie crust and chill. Fill your pie crust with the glazed berries, rearranging berries as necessary to fill any holes. Chill in the refrigerator for 2 hours before serving. Serve with whipped cream and enjoy! This pie has received rave reviews from my family and usually disappears in less than 24 hours. I like that it has less sugar than many pie recipes allowing the freshly-picked berries to shine. I hope you like it! I love strawberries. This pie looks fabulous. I can’t wait to try it! My family will love it. I have used this recipe for several decades and I got it from my mom. It is hands down the BEST for taste (not full of tasteless cornstarch) and lower on sugar (I even put a little less in it). I’ll never eat a different one! I couldn’t agree more with you Linda! The glaze is the perfect compliment to the berries. I only wish I had found the recipe sooner :).